A couple of weeks ago I met with Kirsty and Jamie for their pre wedding shoot ahead of their wedding later this year. 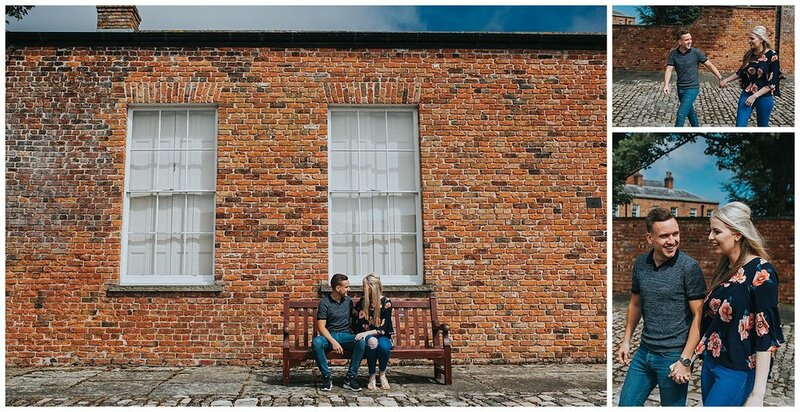 Having lived in the city centre and loving the architecture and history of the buildings they decided to walk around some iconic Manchester sites for their pre wedding shoot images. After meeting at their flat and being infatuated with cat their Jurgen we headed out around Castlefield before heading over to Albert Square for some photos around the town hall and St Peters Square. It was great to meet up with Kirsty and Jamie once again ahead of their big day and squeeze in a few photos before heading for a drink and chatting over all things weddings. If you would like a relaxed couples shoot and want to hear about what I can do for you drop me a message here. 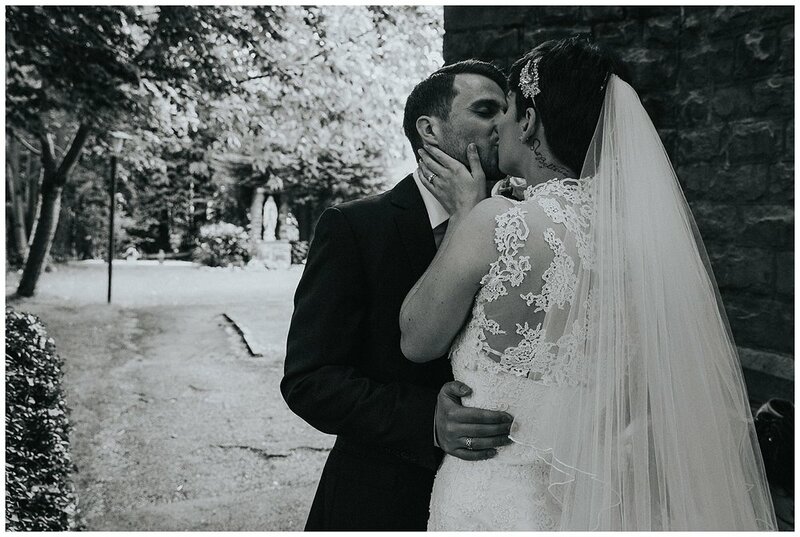 A couple of weeks ago I met with Rachael and Jimmy at The Plunge in Edenfield ahead of their Last drop village hotel wedding. I was extra excited for this one as they were bringing along their two dachshunds YAS! As the biggest dog lover and someone who grew up with dachshunds I was super excited. We walked down by the water and through the trees chatting planning and all things weddings. I love meeting couples prior to the wedding for a chance to get to know one another and squeeze in some photos. A couple of weeks ago I asked good friend and fellow wedding photographer Sarah to come along to Blackpool for some fun on the beach at sunset. As a first timer to Blackpool and *hold your breath* first time in an arcade I loved being able to show Sarah exactly what it is I love about Blackpool- the colour, the fun and the care free nature. I met Sarah and Glen outside of Coral Island on the beach front at Blackpool and we headed into the came to play on some classic arcade games- who doesn't love a 2p slot machine!? A quick round on Mario and the obligatory failed attempt to bag a teddy on the grabber machines we headed out onto the beach as the tide came in and the sun came down. It was so much fun dodging the water and going for a walk/ run across the sand. I can't wait to shoot more couples here and get planning more fun couples shoots. If you're interested in a natural couples shoot drop me a message or keep an eye on my social media for dates and locations I'd like to shoot at. Pets at bridal prep- check, the seaside- check, arcades- check, Elvis- check! 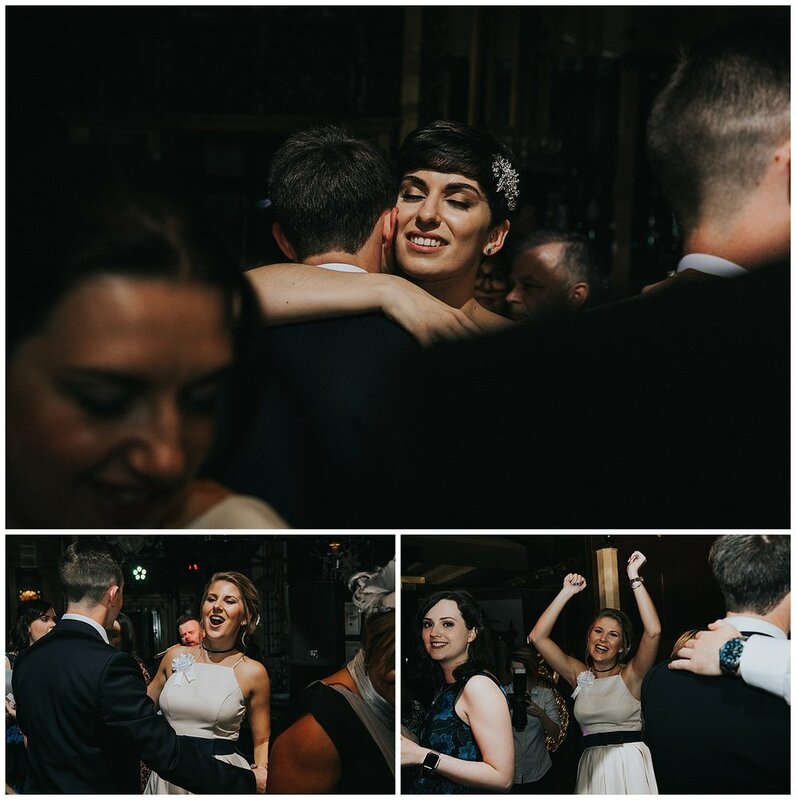 Laura and Sam's wedding was SO much fun and was full of things I love. The day started at Laura and Sam's house for bridal prep which to my delight featured Lily the dog! 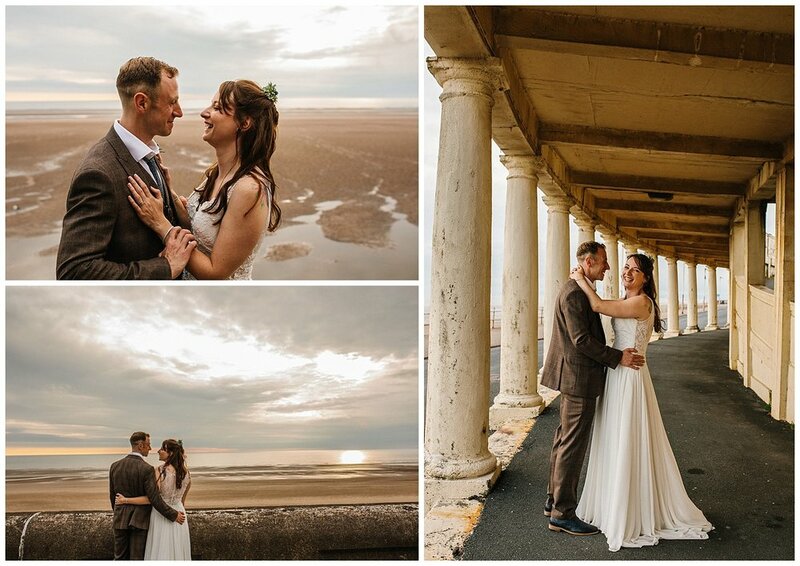 After prep we heading to The wedding chapel which is situated right on the front of Blackpool promenade and perfectly frames the Blackpool tower. After taking a stroll along the promenade and onto North pier and taking a few photos of Laura and Sam we made a quick stop in the arcades *yay* The wedding party then headed to local Italian Nunzio's for the wedding meal and the all important speeches which included a lovely poem from Sam's mum. After being refuelled it was time for everyone to take a stroll down to The talk of the town for Laura and Sam's evening reception. Including some wedding crashers, a cake made of cheese and an extra special VIP .... ELVIS!! And to top it all off I managed to take Laura and Sam onto the beach (or as close to it as we could get in high tide) for some evening portraits...here's a brief glance of what their day looked like. 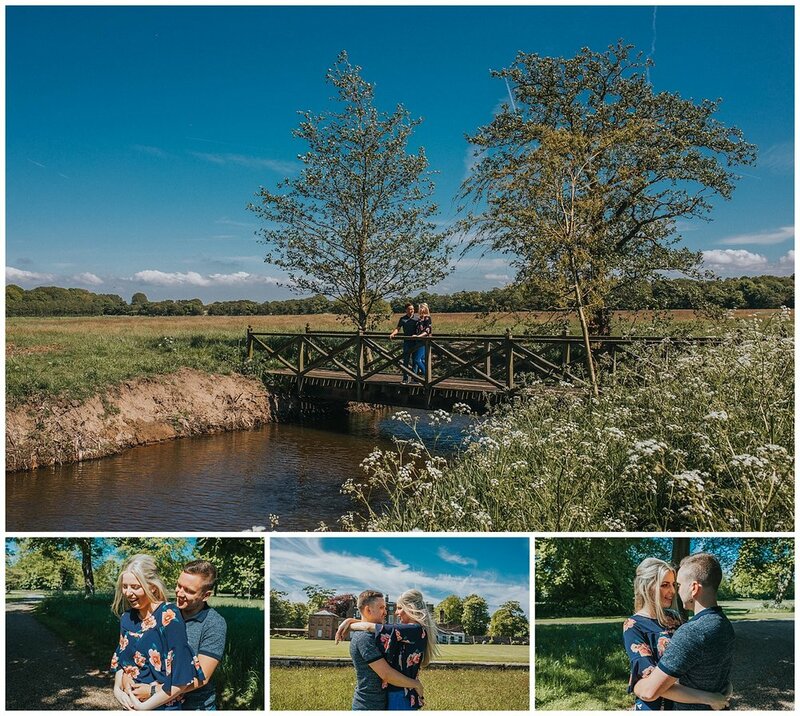 A couple of weeks back I headed to lovely Heaton park in Manchester for Ben and Lizzie's pre wedding shoot ahead of their Heaton park wedding in a few weeks. 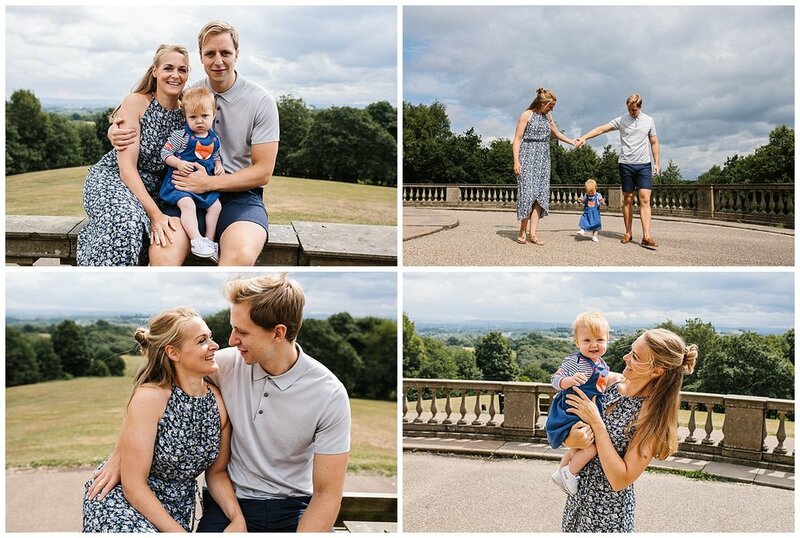 We walked around the park chatting wedding plans and travel (my 2 favourite subjects) while squeezing in some photos of the pair and their beautiful daughter Eleanor. Having spent lots of time in Heaton park with friends and family growing up I was really looking forward to heading there for the shoot and scouting locations for their wedding photos. Lizzie and Ben chose to hold their wedding in the park after both meeting and getting engaged here so it felt pretty special to be taking photos of their family here ahead of their wedding. I'm can't wait to be heading back in a few weeks for their wedding and hopefully we'll be treated to a little bit more of the very rare Manchester sunshine we've been having recently. 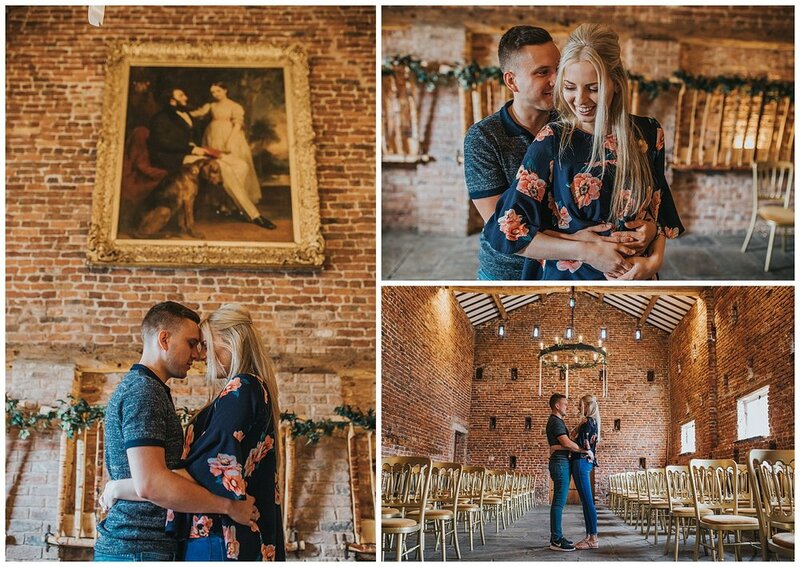 I loved meeting with Danielle and Ian ahead of their Meols Hall wedding later this month. We were lucky to get one of those rare sunny days that seem the norm recently (Crossing everything that it stays that way) We walked around the insanely gorgeous surroundings of Meols hall and the many grounds it boasts- we even got to see a little hedgehog! Here's a little bit of what we got up to! Back on Easter Sunday I met with Laura and Sam for their pre wedding shoot ahead of their wedding in Blackpool this June. We met early on, in the unexpected sunshine, with the hope to beat the high tide and have a walk along the beach. Unfortunately, along with the sun, mother nature had other ideas and washed out the beach entirely! But that didn't matter as we walked across to the local gardens with Lily the dog for some pictures. 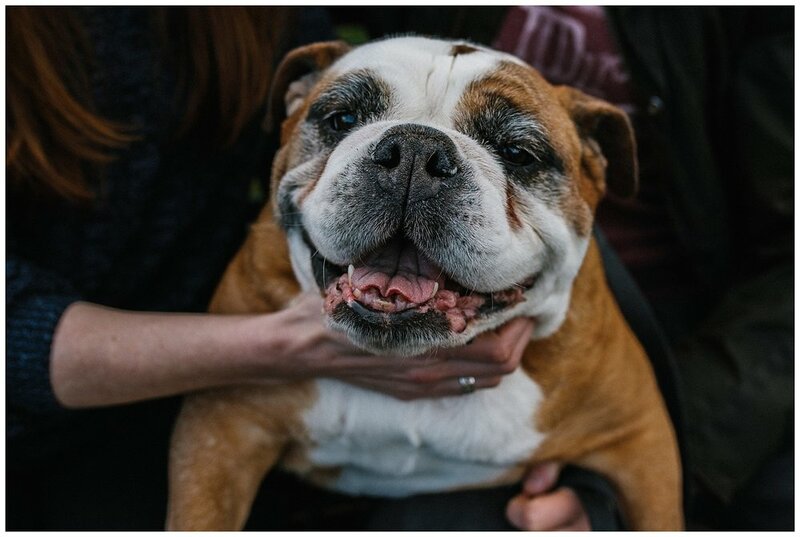 It was a great opportunity to chat through plans for their relaxed wedding and of course get in some photos of the pair and Lily- just look at that smile! I've known Casey since high school after being in the same form class so I was extra excited when she asked me to document her and Liam's big day. The beautiful ceremony was held in Liam's family church at Our Immaculate Mother & ST Anselm's with the service delivered from both Casey and Liam's parish priests making it extra special and personal to the pair. After a hefty showering of confetti and the formal group shots the heavens opened just in time for us to make our way over to The Peacock Room. Luckily we dodged the rain for the most part and made use out of the beautiful grounds at the peacock room for some bridal portraits. 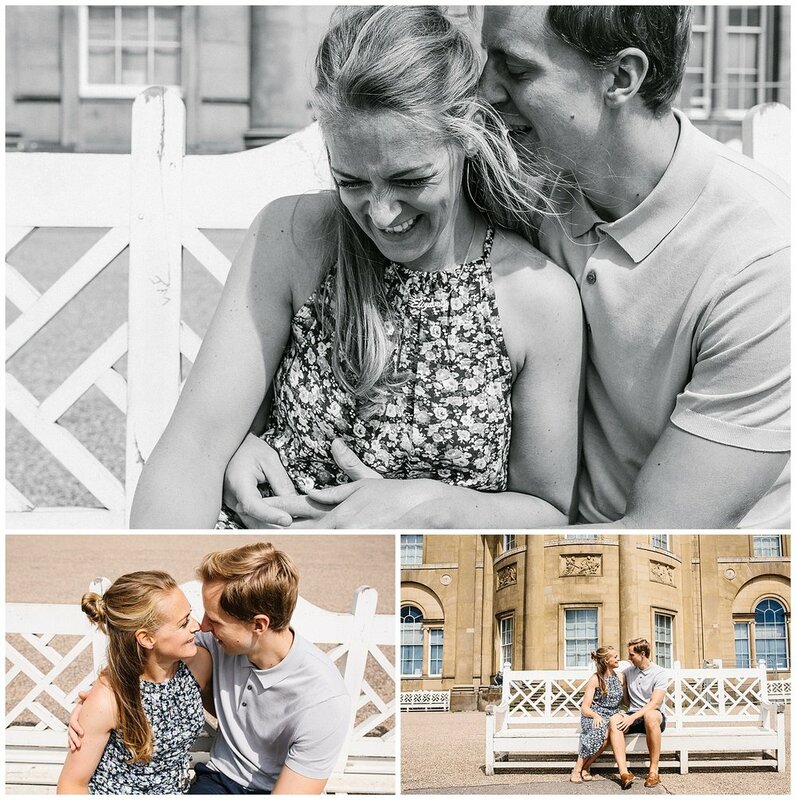 Huge thank you to Sarah for coming along and second shooting with me for the day and capturing some of these moments! 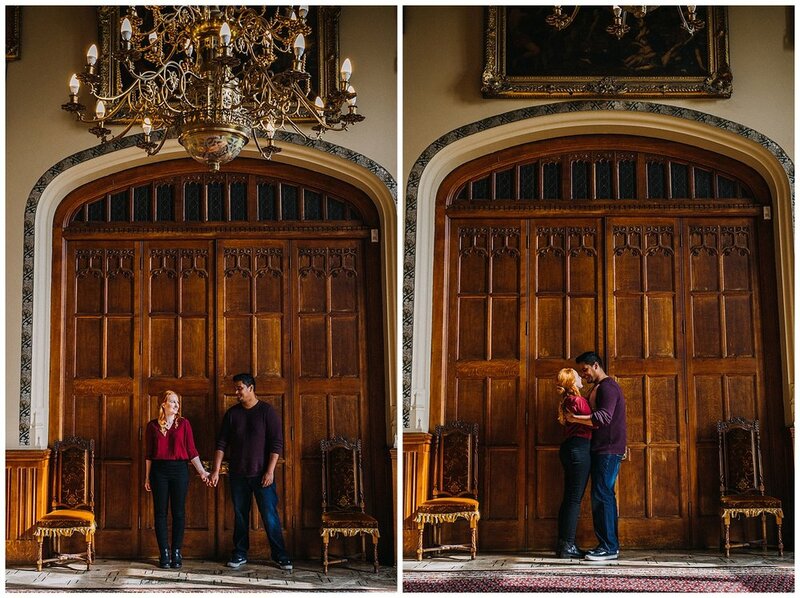 Next week I will be heading back to the incredibly beautiful and grand Carlton Towers in Yorkshire to document Sam and Pranesh's big day. Back in the autumn I headed up crossing the Lancashire to Yorkshire border to meet the pair for a pre wedding shoot. We had a relaxed walk round the venue and discussed all things weddings and wedding plans. 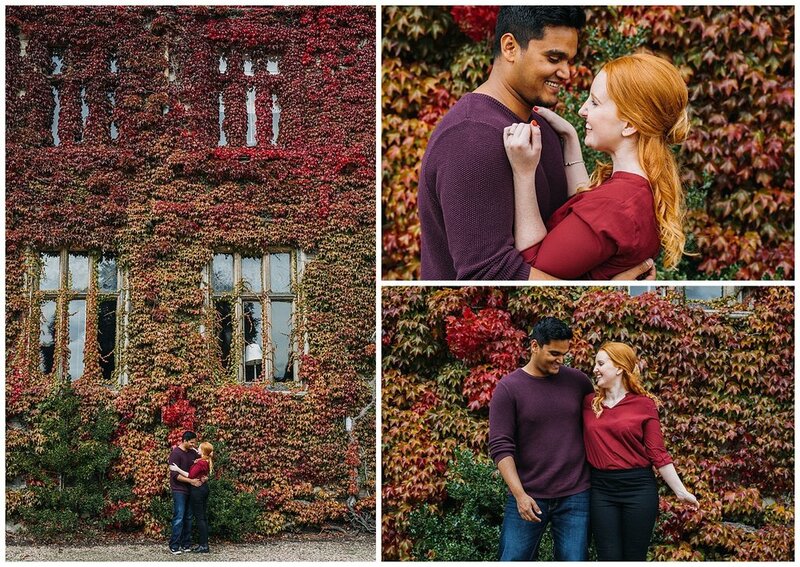 The building was covered in the most amazing red ivy and we had the whole place to ourselves to explore! A beautiful mix of large state rooms dressed in gold and ornate fireplaces and intimate cosy rooms perfect to snuggle on the sofa in and surrounded by 250 acres of estate parkland there was plenty to explore. We had such a lovely morning full of love and laughter and it made me so so excited for their big day! After a quick tour of the venue we started in the state rooms and worked our way through the house and into the gardens for some pictures. 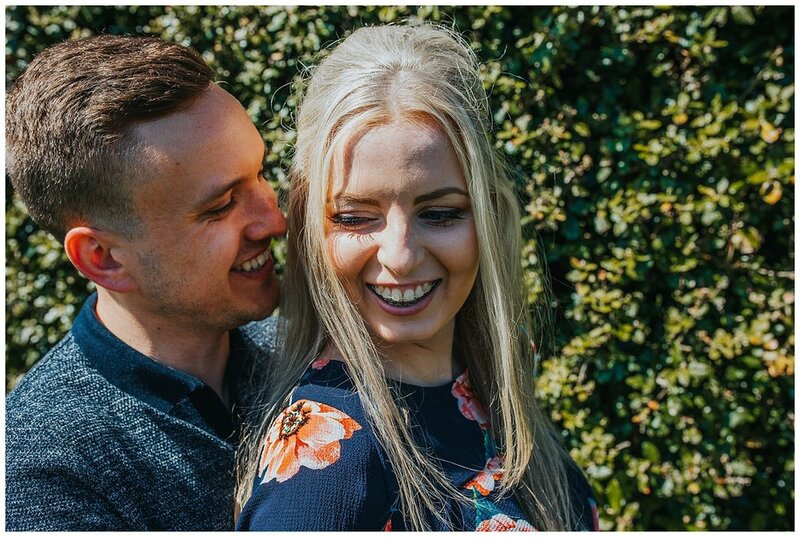 Pre wedding shoots are not only a great opportunity to get some photos of you as a couple but they are a fab opportunity to chat all about your big day, not to mention understand a little bit about how I work and what you’ll be doing on your wedding. Aside from this I LOVE shooting couples, if you’d like some photos of you and your partner (engaged or not) pop me a message and see what I can do for you! I love each and every shoot that I get the chance to do and I especially love working alongside couples to capture their personality in beautiful settings. And this shoot above any other stands out because its my very own lovely mum and dad. Right on the door step of my childhood family home is the beautiful setting of Ashworth Moor in Lancashire just on the outskirts of Rochdale, growing up we would head up the lane to this beautiful setting of rolling hills, waterfalls and reservoirs to walks our two dachshunds and now I love to spend weekends up in the hills. Seeing heather in bloom on impulse I quickly grabbed my mum and dad and took them up to the moors for a walk in the hills and a few photos. It was extra special to see how they reacted with one another especially after 33 years of marriage, my mum and dad have always been a massive inspiration and shown me exactly what a relationship should be like. This was the first time since their own wedding they had the opportunity to have some photos with one another (which is crazy considering they had a photographer in the family). Unlike the traditional photos taken on their wedding I wanted to be able to inject some fun and personality into these photos are really show off the amazing relationship they have. These pictures will always be super special to me and I am so excited to finally be showing them off. I love exploring the great outdoors and especially love going for adventures in new places so if you’re planning your wedding and would like a pre wedding shoot or know someone who would love some new portraits drop and message and get in touch and lets plan something awesome!